I went from newb to interning at IBM, NASA, & Medium.com in a year, so I am writing this book to teach anybody with the slightest bit of interest in computer science, software engineering, and programming/coding how to begin by learning Java, the most widely used and deployed programming language today. However, Java for Humans won’t be like other coding books. I intend to relate coding to human experiences with an aim of making it easier for beginners to learn and have a connection with Java. 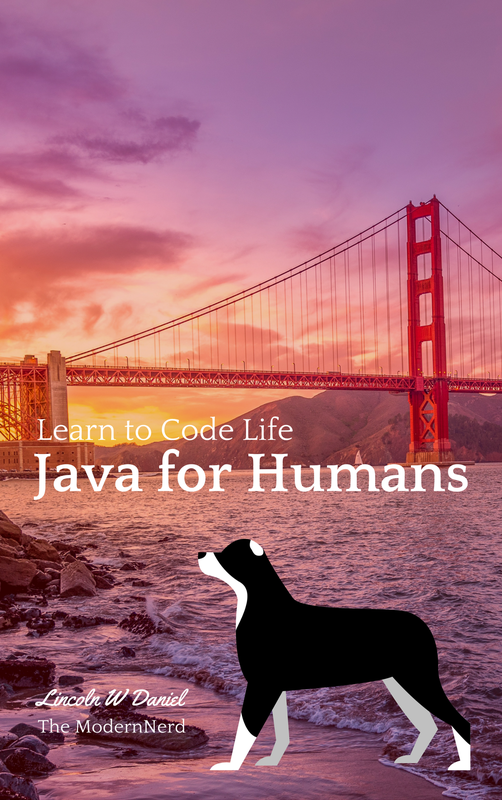 Buy Java for Humans for Kindle, Android, iPhone. The contents of this book may take a little over two hours for the average reader to read straight through. However, you should take your time to read each chapter and understand the code before moving on to the next. To achieve the best reading results, you should read each chapter, the documentation of its supporting code, and write out each chapter’s supporting code on your own. Doing so will help you better understand and retain the concepts of Java. One last thing before we start. As you read through, please click the heart at the bottom of each chapter to recommend each one so you can help more people, beginners like yourself, find this book. Thanks for reading, and I’m wishing you the best as we embark on this exciting journey together. Section One | Takes 9 mins. Section Two | 27 min. Section Three | 36 min. Section Four | 27 min. Section Five | 37 min. Applying Knowledge | 9 min. Along with the above links to the code, you may find the full Java for Humans code base on GitHub. Each chapter’s supporting code can be found in its own namesake package under the “src” folder. From the root folder, navigate to “src” and then choose the chapter you want to view. I have released this book for free to allow anybody to read it because my goal is to help as many beginners get started as easily as possible. If you would like to purchase the Kindle book to support my writing — I’d appreciate it — or for your convenience, here is the link. A product of JavaForHumans.com by Lincoln W Daniel, the ModernNerd.